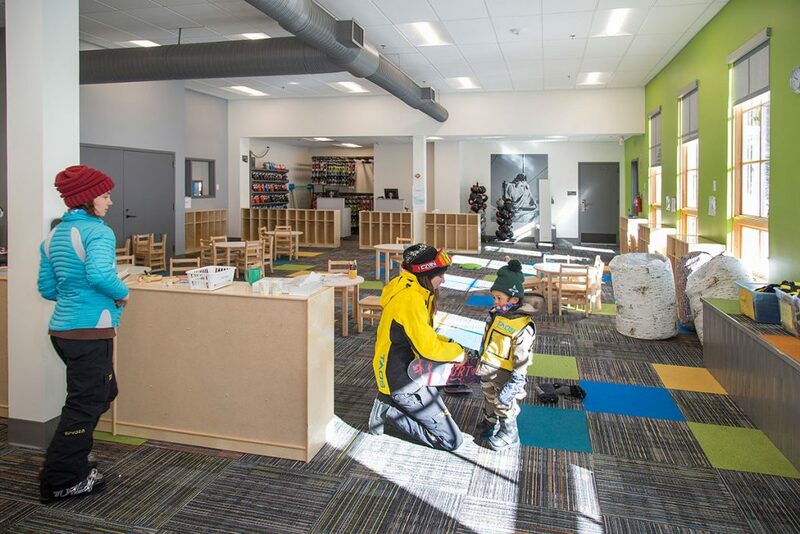 The Taos Ski Valley Children’s Center consisted of a complete renovation of a building constructed in 1995. Under new ownership, Taos Ski Valley desired to maximize the use of the building, better accommodate parents and children, connect the Children’s Center to the base area via a new gondola, and fundamentally change the buildings relationship to the children’s ski school slope side areas. Through research and guidance from Taos Ski Valley ski school staff and administration, Living Design Group completed a new building program that maximized the building connection points to the ski slope and circulation points, thus re-imagining the patterns of usage that delineated three distinct users. The Ski School parents were provided a new drop off/pick up experience that greatly increased the speed of checking in their children. Additionally, the new arrangement ensured that kids feel safe after being handed off to professionals, while parents are assured and able maximize their own ski day with efficiency. Ski school staff have a clean, safe, and direct access in to ski lockers and staff areas, separate from the kids and parents, in a way that does not interfere with registration and drop off areas. They organize their classes in new open multi use areas where they can keep kids engaged, feed them, and take care of their individual needs. The groups have direct access to the slopes, and have newly graded beginner areas to match the kids skill levels. 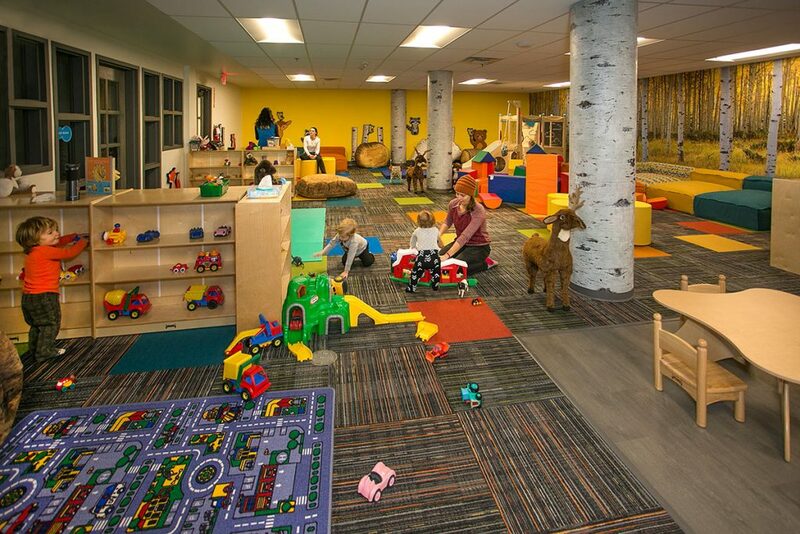 Students ranging from 1 year to 15 years old are accommodated in age appropriate areas. The 1-3 year old childcare engages children at their level, with height appropriate furniture, play areas, nap areas, and changing rooms. Cheerful colors, lighting, and materials including posts covered in printed aspen bark and an entire wall mimicking an aspen forest, enhance their experience. Toddlers have a separate area with age appropriate furniture, a great view and access to beginner terrain. 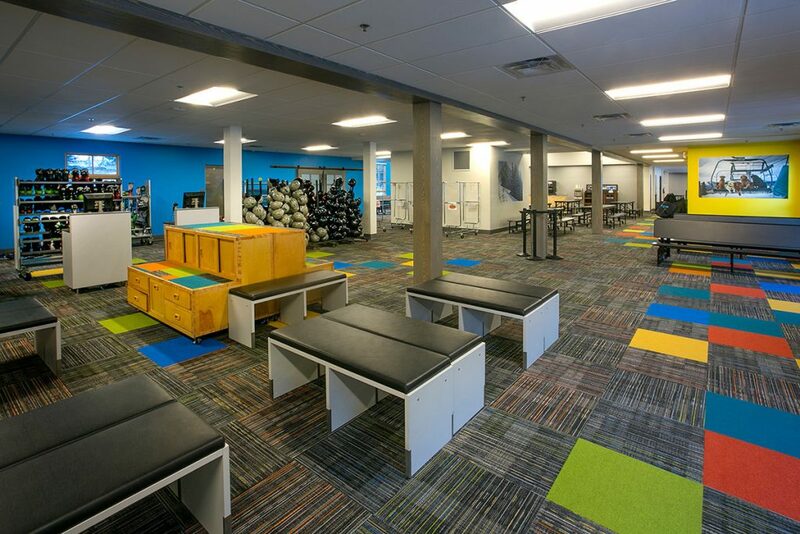 Children and young teens are empowered with unique access to fitting, open activity, and dining areas. As they are ready, more advanced terrain is at their doorstep providing challenge and growth to explore the entire mountain of Taos Ski Valley. Living Design Architects took the project from programming through Construction Documents and provided Architectural Construction Management through the duration and completion of the project. 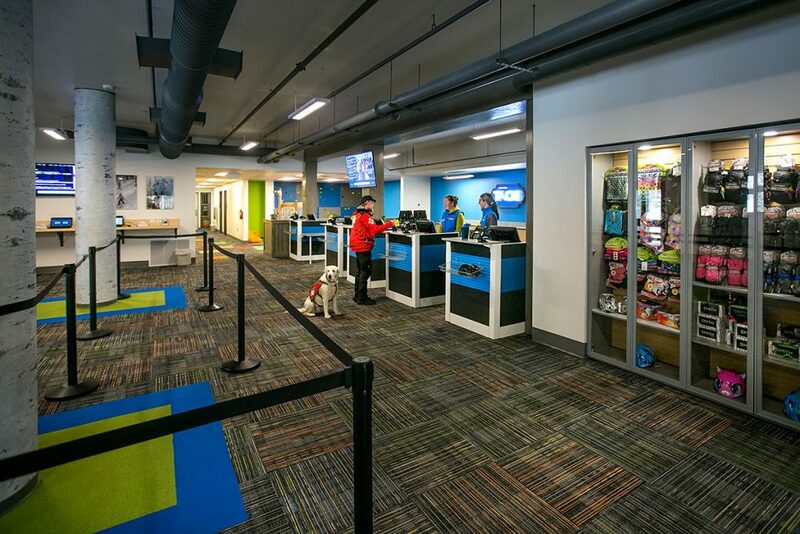 LDG provided bidding and the pricing process for the owner, assisted in selecting the contractor, ran budgets and scheduling through close out. 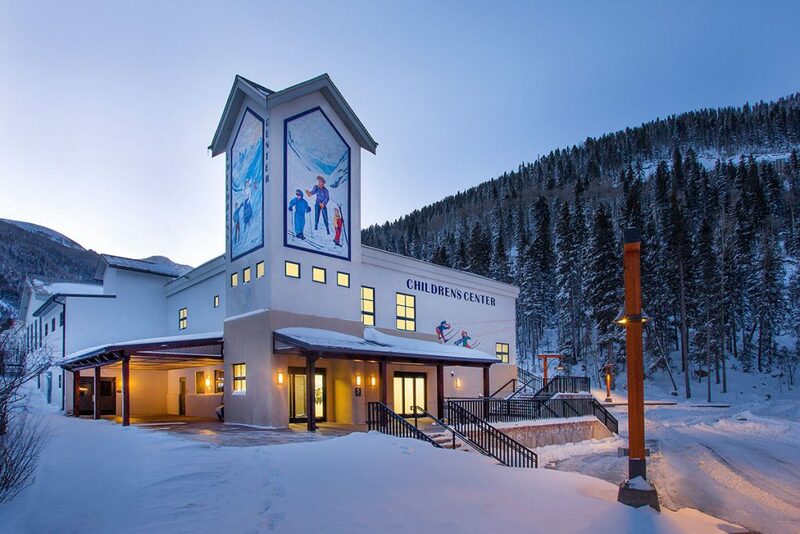 LDG coordinated the construction of the building, utility extensions and upgrades, regrading the ski slopes, and construction of one new ski lift and gondola. 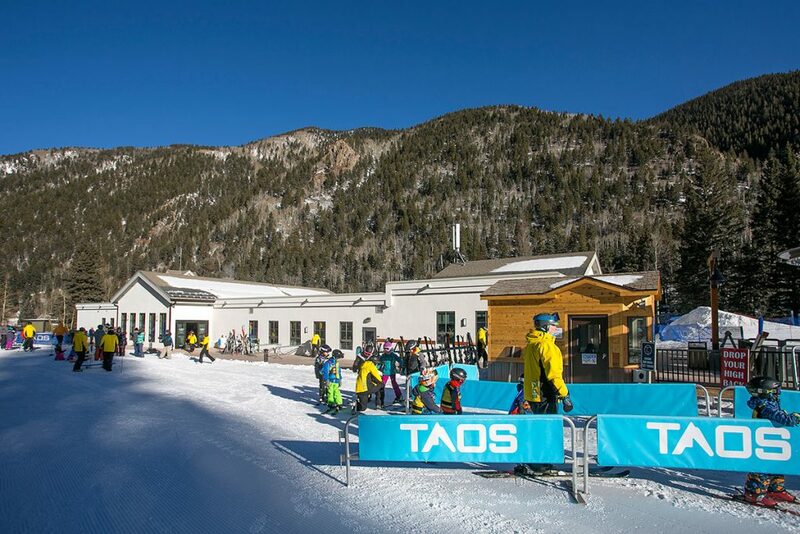 The new and improved Ski School is a great addition for Taos Ski Valley. Appreciated by staff, students and parents, and most of all by the children.